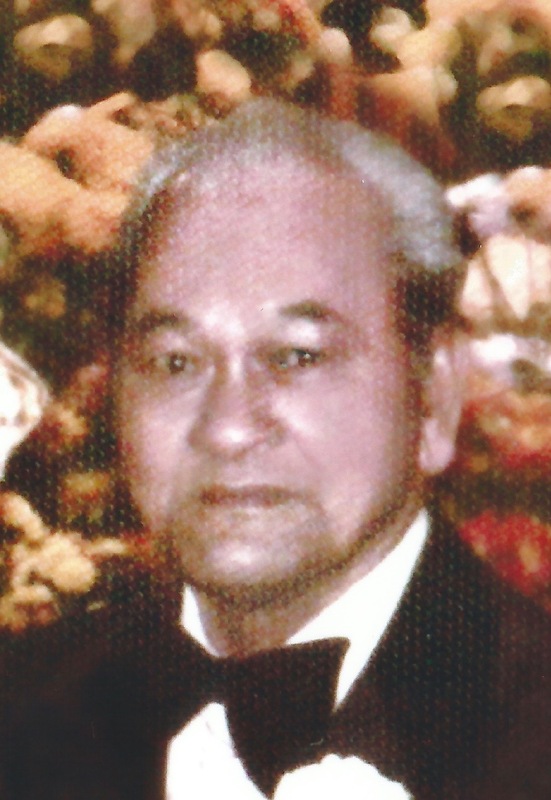 Arsenio Santos Bernardo Sr., Amang, as he is commonly known, passed away peacefully in the Intensive Care Unit of Surrey Memorial Hospital, Surrey, British Columbia on Wednesday, November 6, 1996 surrounded by his wife, children and grandchildren. Amang will be fondly remembered and greatly missed by his wife of 63 years, Nieves, his children, Fidelito (Sonia), Danilo (Cely), Amado (Lucy), Efren (Violy), Emilita (Anil), Arsenio, Jr. (Nenita), Edith (Hector), Ronaldo, his 10 grandchildren and 11 great grandchildren. He was a loving, caring, devoted and hardworking Amang and a Lolo in his simple and humble ways. Amang was born in Sto. Nino (formerly known as Ibayo), Paranaque City, Philippines on June 11, 1913. He was predeceased by his parents, Cipriano Bernardo and Victorina Santos Bernardo. In his younger years, he worked at the family farm and the family’s fish and salt pond. He was also a travelling vendor selling his own produce which provided for his growing family. Unable to receive formal education, Amang’s important goal was to provide good education for all his children. He had a strong but gentle man who never complained at his situation in life, for he was guided by his unwavering faith to our Lord Jesus Christ. With the help of their son, Danilo, and his wife, Cely, who both first came to Canada in the 1960’s, Amang and Inang with Ron and Edith immigrated to Canada in 1978, to join their other children living in Winnipeg, Manitoba. In 1991, Amang and Inang, together with Edith’s family, moved to Surrey, BC, where they spent living and enjoying the remaining years of their life with their children, Emily, and her husband Anil, Ronaldo, and grandchildren. Amang never imagined that he would be able to travel outside of his hometown village. With Ronaldo, and Edith’s family, Amang and Inang, travelled to Baguio City, Boracay, Cebu, Bohol in the Philippines, Florida, California, Virginia in the United States, visited their son, Efren and his wife Violy, living in Copenhagen, Denmark, and travelled with them to Rome. Prayer services will be held at 7:00 pm on Thursday, November 9, 1996, at Port Coquitlam Funeral Home, British Columbia. Interment will take place in the Phillippines, and his body will lay in rest at the Sto. Nino Center Chapel on November 11, 1996, where Lamay will be held. Funeral mass will be celebrated on Monday, November 18, 1996 at 1:00 pm. Interment to follow at Paranaque Catholic Cemetery. Make a Donation to the Grain of Wheat Fund in memory of Bernardo, Arsenio Santos Sr.